PopYard:Today's Tech.-Are Social Networks Killing the Goose That Laid the Golden Egg? Are Social Networks Killing the Goose That Laid the Golden Egg? Germany does not have any major social media firms, but it does have a word that describes how they’ve managed themselves as of late: verschlimmbesserung, or the act of trying to improve something only to make it worse. The “fix” started in 2016, after Facebook noticed users were posting fewer things for their friends to see. To hide the problem, Facebook adjusted its News Feed algorithm to give user-generated content a leg up on branded posts. Unsurprisingly, influencers and publishers panicked at what Facebook reassured them would be a “small but noticeable” decrease to their organic reach. In reality, Facebook’s average organic reach per post fell by nearly half that year, from 5.4 percent in 2015 to 2.8 percent by the end of 2016. Facebook’s latest and arguably greatest act of verschlimmbesserung, however, came following the Cambridge Analytica scandal. Average organic reach per post halved again from the prior year, to just 1.2 percent. Conveniently for Facebook, the drop in organic sharing pushed CPM ad rates higher, climbing 122 percent year-over-year and spiking shortly after Facebook’s “friends and family” update. Whether or not Facebook has deliberately pushed down its organic reach is an open question. But as the metric falls across social platforms from Facebook to Instagram to Twitter, the undeniable result is that brands working with influencers get less bang for their buck. With brands’ social media budgets set to roughly double by 2023, it’s clear that social platforms themselves are hoping to claim an increasing share of those advertising dollars. The trouble with trying to push markets in a certain direction, however, is that markets push back. And given that the changes arguably give social platforms an advantage at the expense of brands, influencers and users themselves, the pushback is likely to come from three directions. Brand marketers -- the individuals making spending decisions on Facebook and other platforms -- may provide the loudest and most effective opposition. 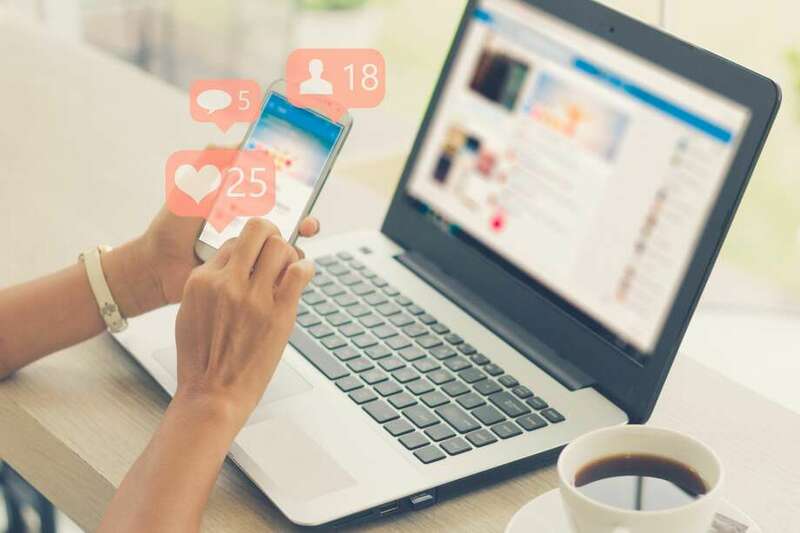 More than half of marketers say that customers acquired through influencer marketing are higher-quality than those gained through other sources, according to a survey conducted by influencer platform Tomoson. What’s more, 22 percent of respondents rated influencer marketing the fastest-growing online customer acquisition method, likely because businesses realize an average of $6.50 in revenue for every dollar spent on influencer marketing. Facebook and other social platforms, of course, are betting they’ll be the ones to reap the rewards if they decrease the effectiveness of influencers. The trouble is that influencers have shown themselves more than willing to leave platforms -- and marketers have proven eager to switch with them. Activate’s 2018 State of Influencer Marketing study shows that nine in 10 influencers are using Snapchat less than they did last year, leading a similar 86 percent of marketers to decrease their use of the platform. Activate CEO Kamiu Lee explained the change by pointing out that Snap hasn’t been particularly accomodating to influencers, who receive little data from brands on critical metrics like reach and audience demographics. Where have Snap’s influencers gone? According to the Activate study, Instagram and influencers’ own blogs are now the two channels with the greatest brand-influencer partnership activity. The popularity of that latter channel speaks volumes about where marketers see the most value: They’re willing to abandon social platforms entirely in order to maintain influencer relationships. Brands and influencers may be happy to choose each other over social platforms, but the big question is: What will users themselves do? Although no public data ties Facebook’s user exodus to its squeeze of influencers and publishers, it’s true that a growing number of users are ditching the platform for nonpolitical reasons. Facebook also notably abandoned a program this past March that separated publishers’ and brands’ content from users’ main News Feed. Surveyed users in the six countries where Facebook tested the split News Feed said they were “less satisfied” with their News Feed content and that they felt no more connected to friends and family than before. What began as Facebook’s attempt to shore up declines in user-generated content and increase ad revenues seems to have put its entire ecosystem on shaky ground. At least for the time being, brands seem to be choosing influencers over the very platforms where influencers built their followings. Influencers, for their part, see brands backing them, emboldening them to go where they feel valued. The biggest danger for Facebook and other platforms, however, is that users want influencers to be part of their social media experience. If users decide to follow influencers away from social platforms, then the paid ad money almost certainly will, too.